Your chance to win a pair of Dali loudspeakers worth �649! 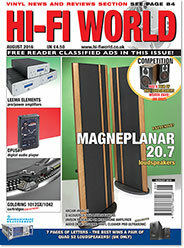 A Large Panel Loudspeaker That Rewards Careful Set-up, Says Jon Myles. A Budget Floorstander That Punches Well Above Its Weight, Finds Jon Myles. 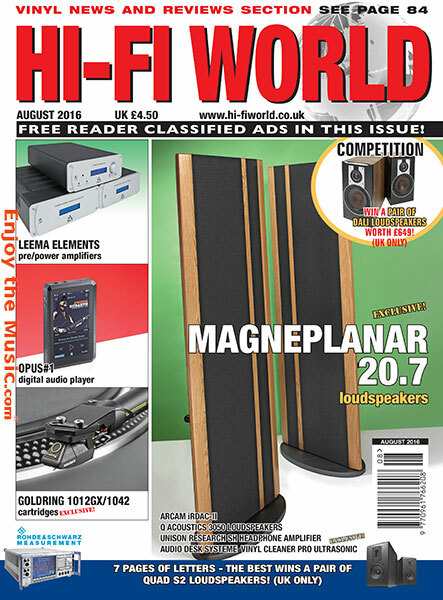 Noel Keywood Tries Out A Worthy Competitor To The Likes Of Astell&Kern And FiiO In The High-Resolution DAP Market. Martin Pipe Discovers Just How Good The New Upgraded Arcam IrDAC-II Can Be. Martin Pipe Finds Unison Research's Combination Of Valve Power And High-resolution DAC Technology A Good Way To Drive His Headphones. A Well-specified Package From Leema Combines A New Pre-amp/DAC Plus Versatile Power Amplification. It Makes Perfect Sense, Says Jon Myles. Scotland's Atlas cable company debut a new entry-level power lead - which Jon Myles says is a bit of a bargain. Noel Keywood heads to California to bring you all the latest equipment from Newport's high-end show. Martin pipe looks at the heritage of the pioneer's budget but brilliant PL-12D belt drive deck. Small, powerful � and perfect for the summer. Jon Myles goes out and about with Urbanista's impressive Bluetooth loudspeaker. Noel Keywood tries out two new MM cartridges from Goldring - and can't help but be impressed at the value for money. Paul Rigby dusts the dirt from his record collection with the new Audio Desk Systeme vinyl cleaner. Paul Rigby looks at Labisiffre's classic 'crying, laughing, loving, lying'.